A proper 24 hours of (relatively) pain-free air travel later, Chris & I have arrived in Mendoza! I had forgotten what a beautiful city this is – so lush and green and with a dramatic backdrop of the Andes – and it’s so strange to have crossed not only a few time zones but a few seasons as well, back into the warmth of early summer in the Southern Hemisphere. But of course, it’s this season that allows us to attempt to our goal: to summit the Stone Sentinel, Aconcagua, the highest mountain outside of the Himalayas, standing at 6962m tall. It might sound obvious to say, but this is not as straightforward as it sounds! Despite being known as a “technically easy” mountain, Aconcagua can potentially throw many challenges our way. At our briefing last night, the expedition leader Nims Dai went over a few of the potential risk factors. Aconcagua is low on “objective risk” like crevasses or avalanches but weather (extreme winds and cold) is a major danger. We mitigate that with gear and keeping an eagle eye on weather forecasts, but it’s still the most common reason people don’t make the summit. And then there’s “subjective risk”, like fitness level and how well a person adjusts to altitude. We’ll be following the old mountaineering adage of “climb high, sleep low” and taking it slowly to give ourselves the best chance at acclimatisation. Still, it’s worth noting now – before it all begins! – that the summit rate on Aconcagua is quite low (I’ve seen ranges online between 30-60%), so while the summit is absolutely the aim, it’s not the reason. 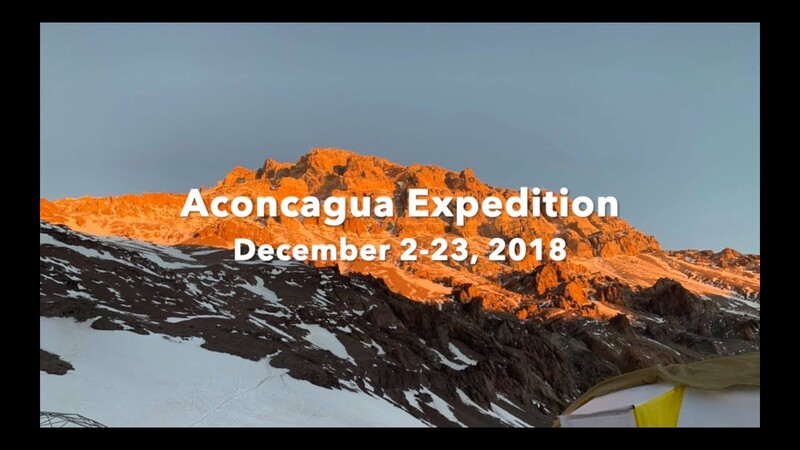 Aconcagua is going to test my limits and push me way out of my comfort zone – plus offer the experience of a lifetime, no matter what the outcome. After a fantastic al fresco dinner last night of juicy bife de chorizo and lomo de cerdo, the team is all acquainted and ready to get started. We’re skipping the first stop at Penitentes to give us an extra contingency day for summiting, so we’re starting the trek straight away after breakfast this morning! Next time I update this blog will probably be from base camp Plaza de Mulas at 4260m in a few days, so acclimatisation will be well underway.